For ladies to improve on the swing, become more consistency and add extra distance to their shots. Every week will be on a different part of the game. 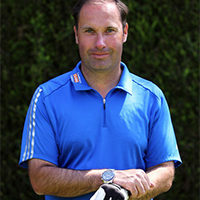 Eddy is very knowledgeable about the game and has taught thousands of golfers over the years. You can bring a friend, but it’s also an ideal way to meet new golfing partners. Let him help you become a better golfer.